"Thank you, Johnny, for a wonderful tour of the neighborhood where I have lived for 50 years. Your encyclopedic knowledge of the early history of African American social organization was very enlightening and was exactly what I was hoping I would be getting. Very professionally presented! I would recommend you to anyone interested in this area." --Marcy L. from Washington D.C. Looking in hindsight to 2017, it was a good year! This year I launched several new tours in Washington, DC. It was tourism mixed with anthropology and ethnic marketing. What I did this year was in the plans and was not by chance. It all started with coordinated meetings with very important people in Washington, DC and from other parts of the world. The first tour I launched was a heritage site tour in mid-town Washington, DC visiting sites related to the historic African American community that created what we now know as Shaw, located along U Street in NW Washington, DC; I launched in August. U Street is a result of Camp Barker and the community around it created by the 'freedmen' who were freed by the 1862 Washington, DC Emancipation Act which came months before the famous Emancipation Proclamation. This act compensated owners of enslaved people for being loyal the Union (the name also of the United States at that time) and the result was a camp was where the formerly enslaved came to live. The freedmen created a village with a school, church and all the things needed. The next step was that many began formal training to join the United States military in fighting the US civil war. This was a major step for the Union forces. History shows that the Union forces won the war by including the African descended freedmen; known in history as the United States Colored Troops (USCT). Next I launched a tour visiting the homes of six women that made American history and world history. This theme is important when doing ethnography. We cannot have a holistic view of history unless we include the history of women. I called the tour "Great Women of Washington, DC," and it was the best seller! The first home on the tour is that of Mary Ann Shadd Cary. Cary was born into an abolitionist family in America and in her life she was an active abolitionist working in both Canada and the USA. She was also a teacher, writer and publisher, suffragist, lawyer, and US Civil War recruiter. Born free she devoted her life to the anti-slavery movement. Her home in Washington, DC is a recognized national landmark. She is also the second woman of African descent in United States history to earn a law degree and was the first woman of African descent to vote in a national election. I hosted an event in early December 2017 for kids about Benjamin Banneker and his Dogon ancestry. The image on the poster is a rendition of an elephant mask from Cameroon. I chose the mask because I want to continue to support indigenous people and their wisdom of earth and our universe. Did you know that in May 2016 the Washington Post reported that Washington, DC broke a new record by receiving $7.1 Billion dollars from tourism? In 2017 Washington, DC became one of the top two destinations to visit in the United States because of the opening of the new Smithsonian National Museum of African American History and Culture (NMAAHC) -- which opened in September 2016. My first major tourism effort in Washington, DC was the Ethiopian Millennium Day in 2007. We were told afterward that we hosted nearly 20 thousand people for the entire day. It was a great time and widely supported. I worked with the leading organization as a fund-raiser and advisor. My work secured Starbucks Coffee Company as the principal event sponsor. 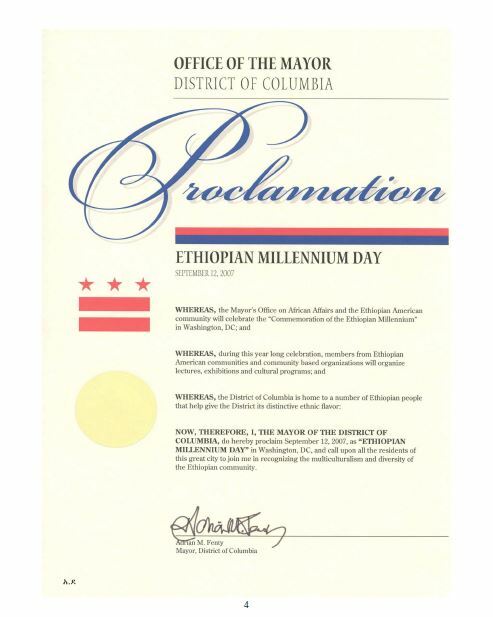 The image below is of the mayor's proclamation for Ethiopian Millennium Day. (Photo Credit: Office of the Mayor District of Columbia). In January 2014 I produced a coffee tasting event celebrating sustainability. 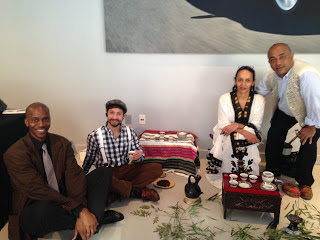 It featured an Ethiopian Coffee ceremony and was held at the original Tesla showroom in downtown Washington, DC. The event showcased Ethiopian and Haitian coffee; 'Haitian Blue' originated in Ethiopia. The coffee ceremony is traditional indigenous culture. It was hosted by husband and wife team Tebabu Assefa and Sara Mussie (below on the right) of Blessed Coffee. In the center is Cafe Kreyol founder Joe Stazzone. (Photo Credit: Anthro21). 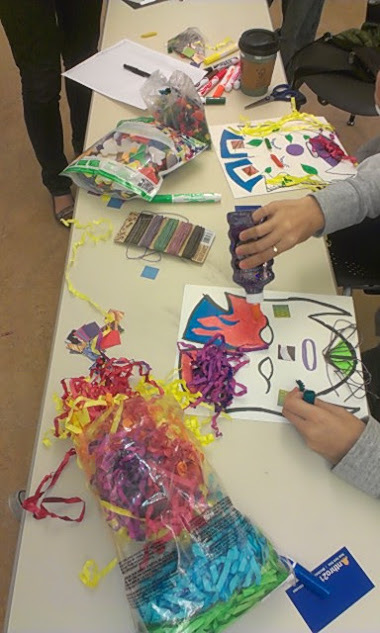 In October 2014 I hosted a mask making event to teach traditional indigenous culture. 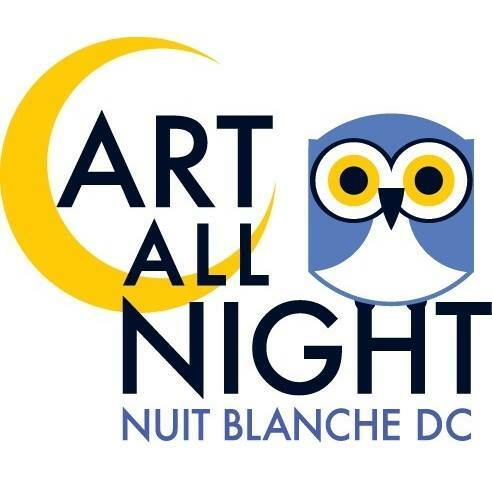 I did the event with the help of DC Cultural Tourism's Art4All program. It rained that day and not everyone showed---however it was an amazing time and went better than expected! (Photo Credit: Anthro21). 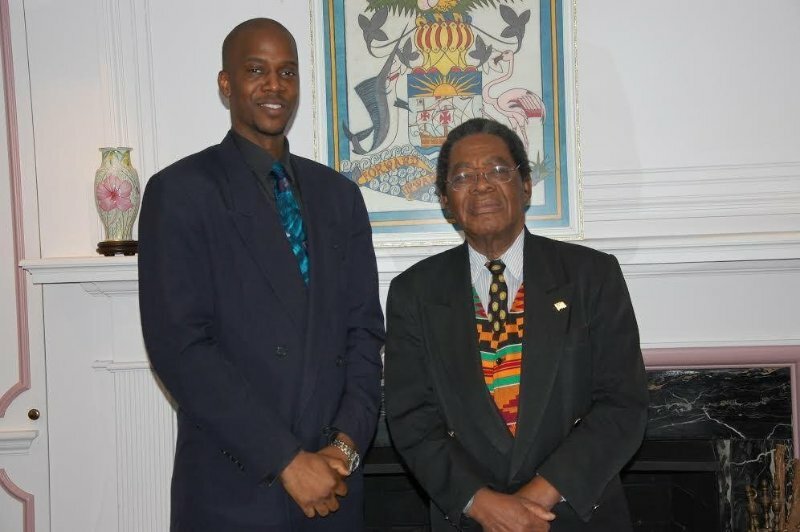 In January 2015 I facilitated a meeting with the Ambassador Extraordinary and Plenipotentiary of the Commonwealth of The Bahamas to the United States of America, His Excellency Dr. Newry on behalf of a client to bring tourists of African descent from the USA and Canada to select sites in the Bahamas. (Photo Credit: Anthro21). I worked to make John G. Parker , abstract painter, a featured artist in the September 2015 Washington, DC ArtAllNight event. This arts festival has become a major attraction for DC. (Photo Credit: Shaw Main Streets). In July 2016 I was an invited guest to witness Ethiopian Airlines reactivate direct flights from New Jersey Liberty Airport to Togo afer 15 years. 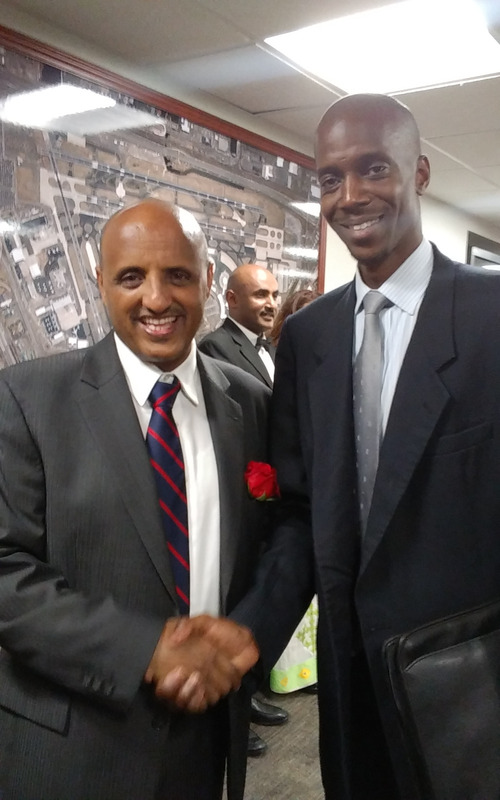 This photo is with Ethiopian Airlines CEO Mr. Tewolde GebreMariam. (Photo Credit: Anthro21). In February 2017 I conducted a tour for the Washington Informer newspaper's Heritage Tour in the National Museum of African American History & Culture. 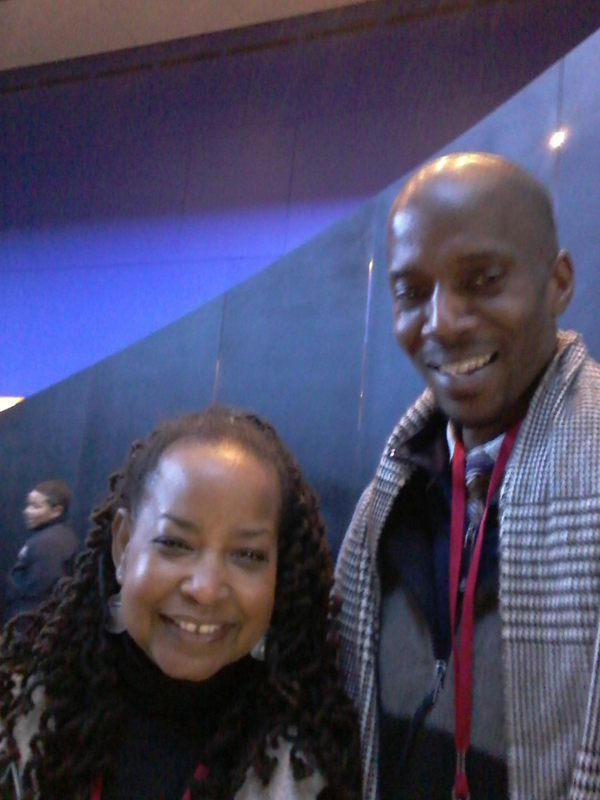 I am here in the photo with the Washington Informer's publisher, Mrs. Denise Rolark-Barnes. (Photo Credit: Anthro21). In March 2017 I was asked by Dr. Ephraim Isaac, from Princeton University, to give him a tour of the National Museum of African American History & Culture (NMAAHC). This was an honor because Dr. Isaac is the founder and first professor of the African American Studies at Harvard University. In recognition of his merits, the "Ephraim Isaac Prize for Excellence in African Studies" is given every year to a Harvard University graduate who writes the best essay in African Studies. CLICK HERE to watch the the video of his visit.